A sweetshop that started off in Bikaner all the way back in 1937 has just toppled PepsiCo to become India’s largest snack company. Haldiram’s was the largest snack company in India by sales beating out PepsiCo in the year ending September 2017, ET has reported. Haldiram’s posted sales of Rs. 4,225 crore in the year ended September, compared to PepsiCo’s Rs. 3,991 crore. The previous year, PepsiCo had sales of Rs. 3,617 crore, while Haldiram’s had sales of Rs 3,262 crore. 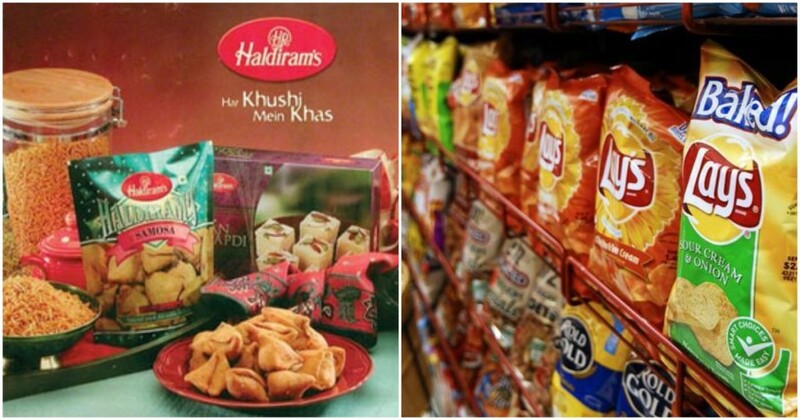 The overall snacks market is divided into four sub-segments — traditional snacks such as namkeen, bhujia and nuts, in which Haldiram’s dominates; western ones such as potato chips where PepsiCo has the upper hand; riblon and gathia, which has brands such as PepsiCo’s Kurkure; and extruded, which includes cheese balls among others. Haldiram’s emerged as the leader in this segment. Balaji Namkeen followed with sales of Rs. 2122 crore. PepsiCo brands Lays and Kurkure were third and fourth with sales of Rs. 1996 crore and Rs. 1600 crore respectively. Prataap Snacks, which recently went public, had sales of Rs. 1058 crore. It’s been a remarkable journey for Haldiram’s, which started off from the nondescript town of Bikaner in Rajasthan all the way back in 1937. Back then, Haldiram’s was a small snack and sweet shop, but founder Ganga Bhisen Agarwal had big plans for the brand. Haldiram’s began expanding in a big way post independence, setting up a plant in Calcutta, and shifting base to Nagpur in 1970. This was followed by a chain of retail outlets & showrooms. Haldiram’s says its product lines were expanded to match the taste of various segments of the society, and sweets and namkeens were presented in more durable and commercially viable packaging. Haldiram’s today manufactures over a 100 products, including namkeens, sweets, papads, drinks, and even frozen curries and parathas. In 1993, Haldiram’s had begun exporting to the US, and today its products are available in 50 countries, and in supermarket chains such as Tesco and Carrefour. And it’s fitting that an Indian brand now is the biggest producer of Indian snacks in India — with the variety of traditional snacks available across the country, Haldiram’s has done well to create a successful company that brings them to the masses. While Haldiram’s is now on top in its home market, what could really be the icing on the cake is if it can give Pepsi a fight in the US. Traditional Indian snacks deserve nothing less.